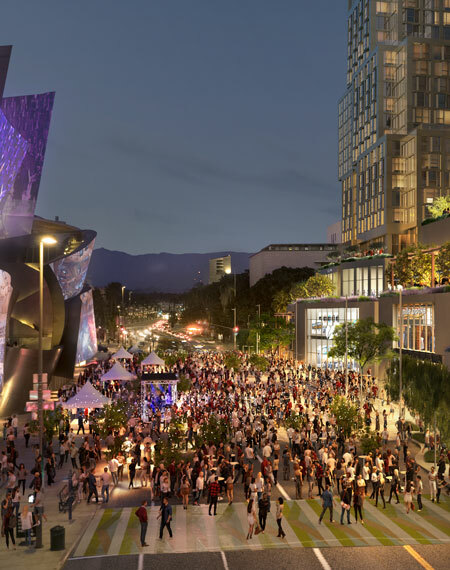 The Grand – Long awaited Visionary public-private partnership unveiled during groundbreaking ceremony in Los Angeles’s Renowned Down Town Arts Mecca. Completion anticipated in 2021. Los Angeles, Calif. – Architects, dignitaries and community members cheered today during the highly anticipated groundbreaking for The Grand, a visionary public-private partnership with the Los Angeles Grand Avenue Authority to revitalize downtown LA’s cultural and civic core with a mix of commercial, retail, cultural and residential units stitched together with great public spaces and world class architecture. This multi-phased master planned development is re-envisioning and re-developing underutilized government-owned parcels directly adjacent to the Civic Center and key cultural institutions such as the Music Center, Walt Disney Concert Hall, The Colburn School of Music, and the Museum of Contemporary Art to form a dynamic mixed-use district fitting for the cultural center of Los Angeles. Key completed project components include: Grand Park, a 12-acre public park (completed 2012); The Emerson residential tower (completed 2014); and The Broad contemporary art museum (completed by The Broad Collection 2015). Future phases include Grand Avenue Parcel Q, also known as The Grand, designed by Frank Gehry, which will include a dynamic mix of hotel, dining, nightlife and residential anchored by a central public plaza above five levels of parking. 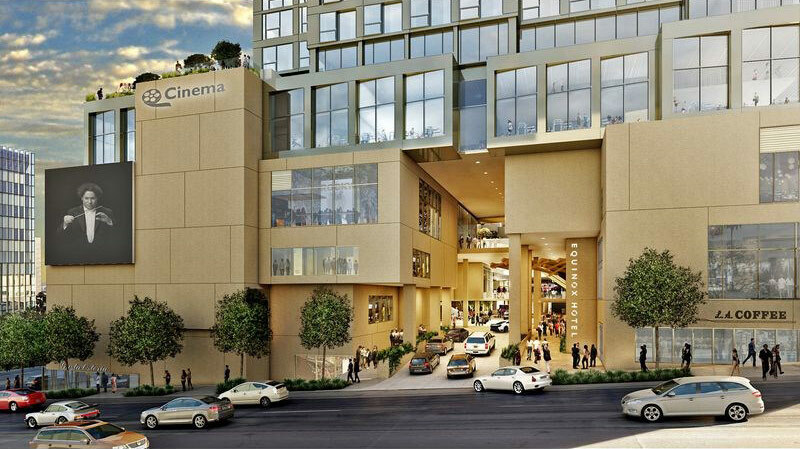 The Grand’s 173,000 square feet of leasable retail area will include destination restaurants and shopping spanning three levels of landscaped open terraces along with a 430-seat luxury cinema, making it downtown’s premiere entertainment destination. 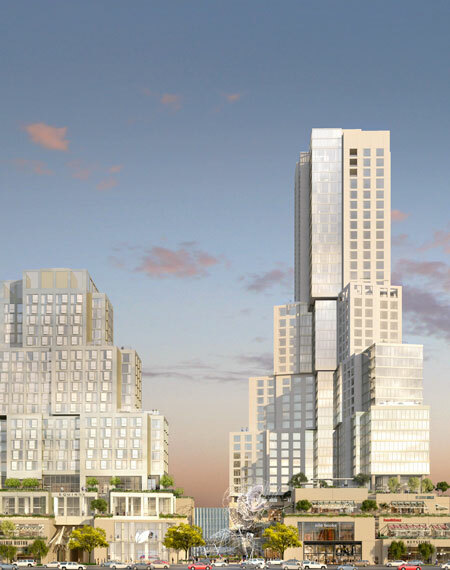 The Grand’s residential tower will rise 39-stories high with 436 apartments, comprised of 323 luxury apartments and 113 ultra-premium apartments. 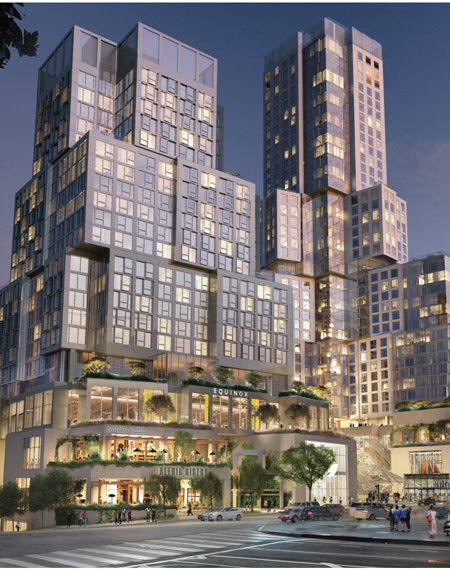 A 20-story, 309-room Equinox Hotel will flank the residential tower and include approximately 12,000 square feet of ballrooms and meeting rooms and 27,000 square feet of restaurants, lounges and outdoor amenities. 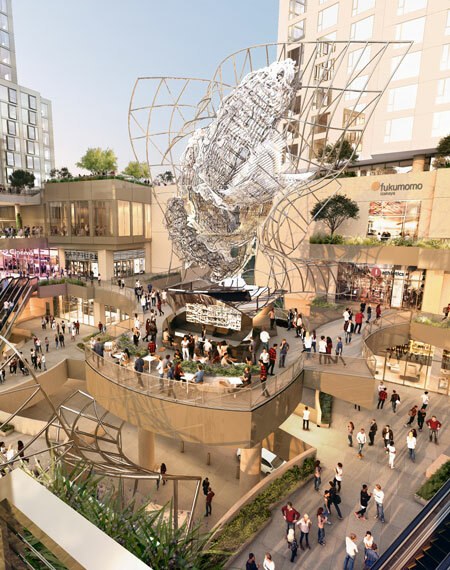 Located within walking distance of eight different entertainment and cultural venues, The Grand’s Frank Gehry-design will create a natural synergy with the neighborhood’s arts destinations and play host to its own permanent and temporary art installations. Construction is slated to begin in 2018 with anticipated completion in 2021. Previous PostCITY OF SANTA CLARITA SEEKS INPUT FOR SKATE PARK PUBLIC ART PROJECTNext PostAnnual ScotsFestival & International Highland Games XXVI at the Queen Mary in Long Beach, February 16 – 17.